KT5. Close Contact Hunt Saddle Kit. 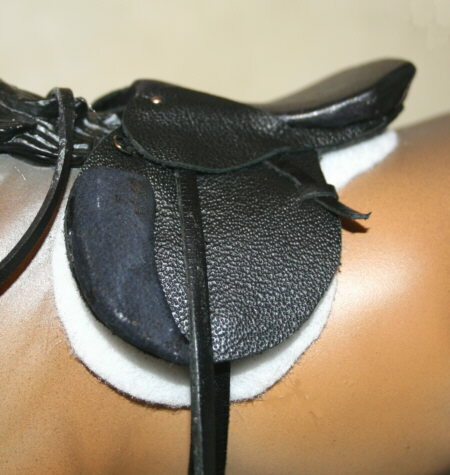 Contains leather, lace, cast stirrups, & instructions for making your own saddle. 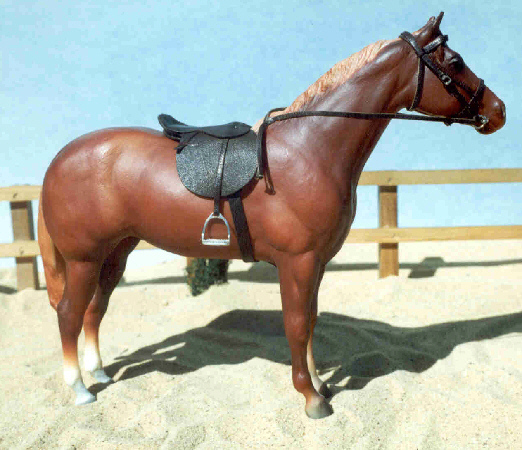 Saddle is built on a saddle tree that you make (instructions/pattern included for tree). Saddle Pad pattern included. 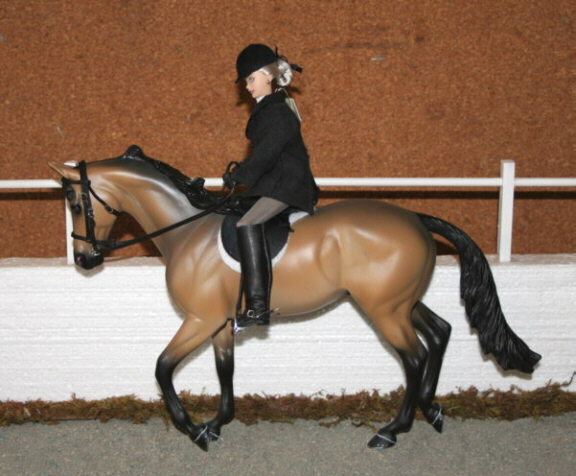 This is a great kit for use with the 4-H Horseless Horse Program. State TR or CL sized. Choose Black or Dark Brown Leather Lacing. Saddle leather is undyed. TR Scale. $33.50 ***Note: Classic Size available as instructions & pattern pack for reduced rate.